August 20, 2015 512 × 428 Employee Ownership: A More Equitable Approach to Capitalism? The Builders Series communicates Lawrence’s belief in the possibility of building a better world through skill, ingenuity, hard work, and collaboration. 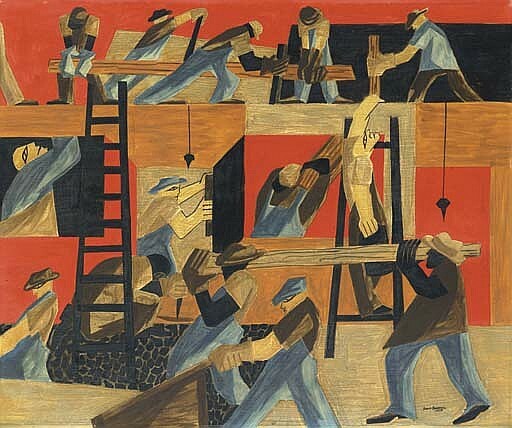 The Builders concept first appeared in Lawrence’s work in the mid-1940s, and by the late 1960s had became a major theme of his artwork. For the last three decades of his life, Lawrence consistently pursued the Builders motif, creating a sequence of vibrant modernist images that highlight his pervasive humanist vision.